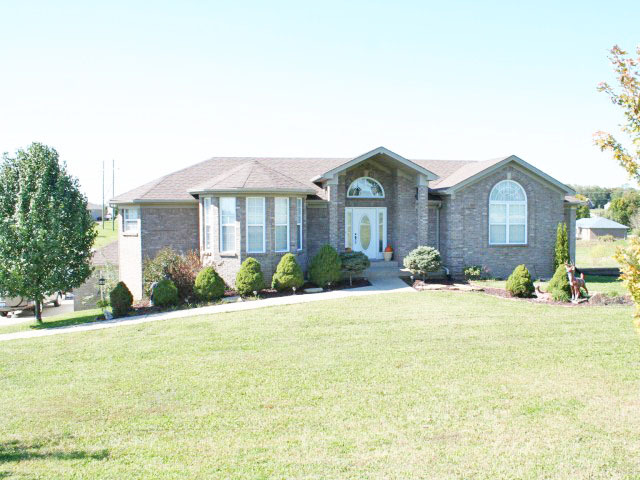 1811 Shelbyville Road in the Elk Creek area of Taylorsville, KY has been on the market for a while. Our sellers have found another home nearby that is calling their name. We had discussions in the past on what could be done to sell their house and price has come up several times. So now, they are serious and have had a 10% price reduction. This was a great home that sold in 58 days. Contact the Hollinden Team today to see how we can get your home sold. The last weekend in April is a big push for open houses nationwide from the National Association of Realtors® (NAR). With this large price reduction and the big weekend of open houses made this a no-brainer. So, we welcome you to our featured Open House from The Hollinden Team. This home is set apart as it is fairly new and modern sitting on over 1.5 acres. The curb appeal is great as it is architecturally interesting and not a square box. The first thing that you notice is how open the floor plan is and the cathedral ceiling. The kitchen has been recently remodeled and is a sight to behold. Cherry cabinets and quartz countertops give this modern kitchen some pizzazz! The dining room is right off the kitchen and is illuminated with natural daylight from 6 windows. The great room completes this side of the house and it leads onto the deck with its panoramic view. On the first floor is a luxurious master bedroom and master bath suite. They have not one, but two walk in closets. Finishing this side of the house is a large laundry room with ceramic tile floors. The bottom floor houses the three bedrooms along with the family room and entry into the huge attached garage. One unique feature of this garage is the cabinets from the kitchen remodel have been installed here. On this floor you will also find a nice patio for some quiet entertaining. We invite you to come by our open house on April 29th. If you can’t make it, contact Tim Hollinden with The Hollinden Team and he will arrange your own private showing. If you would rather start your search on your own, feel free to use the Advance Search Tools of our Louisville MLS to find other homes for sale. Or, if you know the area desired, search for homes using a map with our Map Search Tools.